Factory farming heavyweights like Tyson and Smithfield could gain significant influence over Nebraska's meat industry if a new bill passes - which is terrible news for animals. 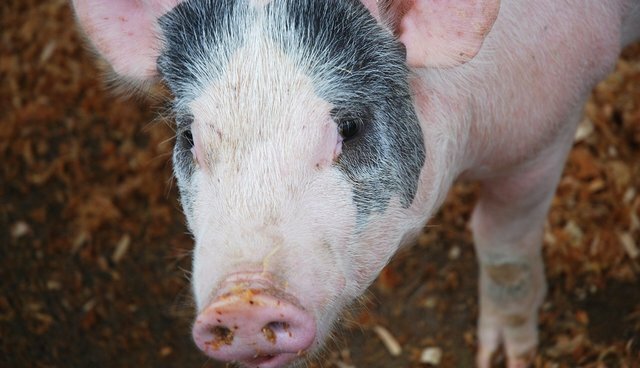 The new bill would override the state's 15-year-old ban on corporate ownership of hogs, one of the nation's last laws restricting corporate-owned factory farms. In many states, companies like Tyson actually own the animals and pay local farms to care for them - meaning they have significant influence over how they're raised. The Nebraska ban was designed to protect independent family-run farms; if the new bill passes, it would pave the way for large meat producers to take over the state's farming industry. Many of the undercover investigations at factory farms in recent years have been at those with ties to large meat or dairy producers, like Tyson and Smithfield. Of course, abuse isn't limited to corporate-owned farms, but farms affiliated with the nation's big meatpackers often have to sacrifice animal welfare to keep up with demand. Animals in these factory farms suffer in cramped, filthy conditions and suffer unimaginable abuse during their short lives - all in the name of profits. Unfortunately, Nebraska's not alone. Just this Friday, North Dakota Gov. Jack Dalrymple signed a bill lifting the state's ban on corporate ownership of dairy and pork operations.